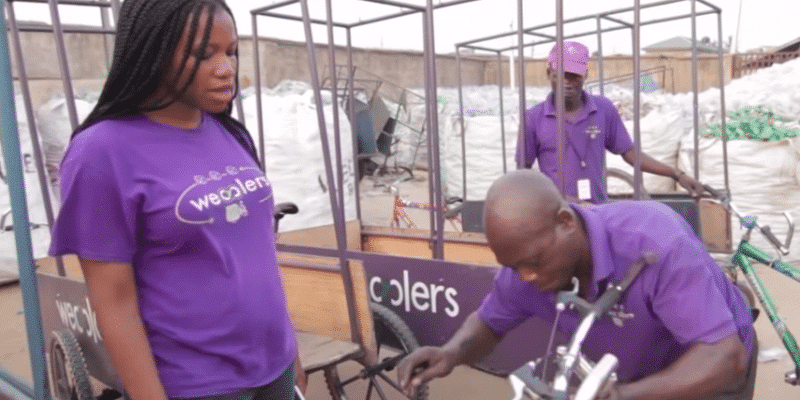 Wecyclers, a young Nigerian company, collects recyclable waste in household garbage cans through an SMS system and with the help of paid residents, the collected material is sold to recyclers. Waste management is a major concern in the city of Lagos State in Nigeria, which has between 17 and 22 million inhabitants (most populous in the federal republic). The city produces nearly 10,000 tons of waste every day and only 40% of household waste is collected and 20% recycled. It is an uncomfortable situation, because the streets have quickly turned into dumps. The start-up Wecyclers presents itself as a superhero for waste collection. At the same time as it contributes to clean up the city, the dustbins are a source of wealth. With its 120 employees, it has already collected 3000 tons of waste. The young company encourages households to collect garbage, including bottles, plastic bags and aluminium cans. For every kilogram of recycled material, each family receives wecycler points. They can then use these points to buy minutes of calls or consumer goods.” By rewarding households with credits, we hope to show that waste has value,” says Bilikiss Adebiyi-Abiola, the company’s manager. Nearly 15,000 Lagos residents have already agreed to collaborate with Wecyclers for the disposal of their waste. 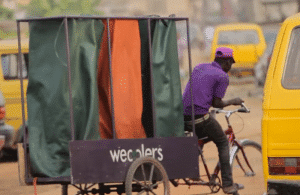 Wecyclers takes advantage of the permanent use of mobile phones in Africa to raise awareness of its actions, in particular by sending recommendations directly to residents by SMS. The Wecyclers team is supported by five local branches of major global companies, including DHL, Unilever, Coca-Cola… They finance machines, training and transport equipment.